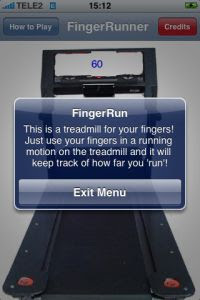 New impressive, virtual application FingerRun developed for your iPhone. FingerRun is a treadmill for your fingers. 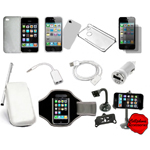 It ’s a funy little toy created by ipodtouchmaster. This is an app to exercise your finger running. It even says in the app description „treadmill for your fingers”. When you start the application, you will see a treadmill. You have to make a running motion on the treadmill with your finger in order to make the blue number increase. You can actually make the number increase by swiping anywhere. After 6,500 the application randomly crashed. This application is great if you want your fingers to lose weight or something. You can get FingerRun from the iSpazio source. But remember that the app is a beta so there may be problems.